An analytics culture enables organizations to better leverage their 2 biggest assets, their people and their data. 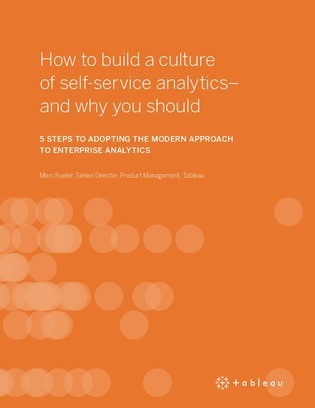 In this white paper, discover the 5 steps necessary in building a culture of analytics, and learn how embracing this culture can help organizations fully realize the potential of their insights, and understand their data. To learn how you can get started empowering your team and leveraging business insights, download this white paper.